In the past few weeks, one of the media stories buzzing about in Canadian defence circles is the official plea put out for soldiers to turn in their spare gear. It turns out that the Canadian Army has a chronic shortage of rucksacks and sleeping bags. Any soldier who has more than one of these items is being asked to voluntarily hand it back to the supply depot in order that it can be reissued to new recruits. Similarly, personnel who possesses this gear, but who are not currently in a job wherein field deployments are imminent, are also being asked to return these items. Naturally enough, the opposition Conservative party used this equipment shortfall to bash the Trudeau Liberals for failing to provide the essentials to Canada’s “brave men and women” in uniform. What makes the sleeping bag shortage even more embarrassing and the Conservative Party’s comments totally ironic, is that just four years ago the Harper government gave 795 sleeping bags to the Ukrainian armed forces. At the time, the nearly $5 million in non-lethal military aid we gave to Ukraine – including the sleeping bags – was declared to be ‘surplus’ material. This was news to any close followers of the Canadian Military who were of course surprised to learn that our troops had a ‘surplus’ supply of anything. 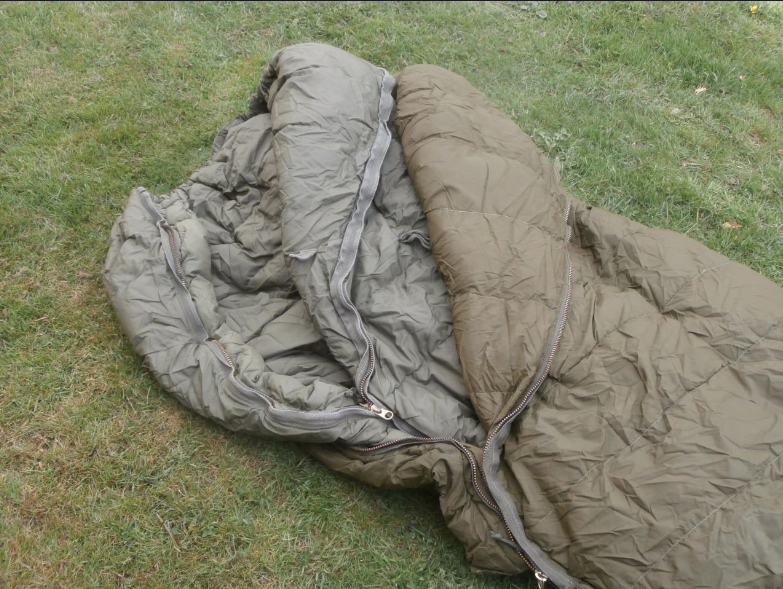 Turns out that we didn’t, and in the subsequent four years the supply systems failed to adjust for the current shortfall of sleeping bags. As embarrassing as this may seem, for those of us who keep close tabs on military affairs, shortages of essential equipment are really nothing new. Back in 2002, Canada’s first battle group deployed into Afghanistan in dark green forest camouflage uniforms. The rest of the NATO alliance all had desert camouflage, as it better suits Afghanistan’s dust bowl environment. The fact that the Canadian military did not have desert camouflage uniforms in stock made no sense as in the previous decade our troops had been deployed on three separate missions to desert theatres; Persian Gulf, Somalia and Eritrea. Rather than simply admit the forest green uniforms were an embarrassing lapse in our supply system, the official apologists claimed that it was Canada’s intention to have our soldiers ‘stand out’ from the NATO crowd. Obviously the political spin-doctors were not clear on the concept behind military camouflage. Things were even worse back in the mid 1990’s when the Canadian Army had about 4,500 troops committed to operational peacekeeping missions in all corners of the world. We had three separate forces in the Balkans, one in Cyprus, and in Cambodia and briefly a battle group in Somalia. The tempo put a tremendous strain on the supply system and there was an acute shortage of combat uniforms. In order to equip the battle groups training to deploy overseas, at one point the military had to take out ads in the base newspapers asking soldiers to turn in any spare uniforms they had in their closets. The uniforms already issued were worn until they were completely threadbare. On a more dangerous note, in 1992, when Canada first deployed troops into the war torn republics of the former Yugoslavia, there was often no peace to keep. With bullets and shells still flying, body armour and helmets were an essential piece of equipment for our soldiers. The problem was that at that juncture, Canada simply did not have enough helmets or flak jackets to equip all soldiers. When there was a rotation among the battle groups, on occasion incoming soldiers would literally take these items from the soldier they were replacing as they stepped off the plane. The frontline shortages of vital equipment was explained away by Ottawa bureaucrats as being a result of the rapid downsizing of the Canadian Armed Forces – from 90,000 personnel to 65,000 – at the end of the Cold War. We were to believe that a military theoretically equipped to wage World War Three in 1990, was too short of helmets, uniforms and flak vests to outfit a few hundred peacekeepers just two years later. Now, it is rucksacks and sleeping bags. Embarrassing, yes. But nothing new.